Today, we publicly announced Scylla Cloud, our fully-managed database as a service (DBaaS). Scylla Cloud is available immediately on Amazon Web Services (AWS) Elastic Compute Cloud (EC2) instances—including a developer instance that makes prototyping incredibly affordable. It will soon also run on Google Cloud and Microsoft Azure public cloud platforms. Scylla Cloud runs the latest version of Scylla Enterprise, which is built from the ground up to make optimal use of the latest server technology and to run “close to the metal.” This means fewer servers are needed compared to other implementations in a cloud environment, saving on costs. Scylla has been available and hardened for years by open source users, enterprise customers and a solid, growing community of developers. Now, we bring our enterprise product to a managed cloud solution that lets individual developers and teams get started quickly with small instances at low costs, and then to scale up as needed. With a full complement of tools and APIs, we make it easy for everyone from startups to large enterprises to migrate workloads from on-premises deployments or other cloud platforms over to Scylla’s managed cloud service. Scylla Cloud provides managed Scylla clusters with automatic backup, upgrades, repairs, performance optimization, security hardening, 24*7 maintenance and support — all for a fraction of the cost of other DBaaS offerings. You can relieve your team of administrative tasks, allowing them to focus on creating applications that deliver engaging experiences to your customers. Scylla Cloud lets you prototype quickly, get into production fast and, once in production, scale smoothly over time. Scylla Cloud currently runs on AWS, utilizing that platform’s highest performing systems for I/O intensive database use, the i3 series. With just a couple of clicks you can spin up a cluster of i3.16xlarge instances, with each Scylla node delivering millions of operations per second. For developers, Scylla Cloud also has made available the low cost t2.micro instance. You can now get a Scylla Enterprise cluster running for less than $1 per day! Price-Performance: Scylla Cloud was designed with a fundamentally superior architecture compared with other NoSQL managed cloud solutions, such as Apache Cassandra, DataStax Enterprise, Amazon DynamoDB, Google BigTable, and Microsoft Cosmos DB. It provides blazing-fast performance, superior node utilization, and both horizontal and vertical scalability. With Scylla Cloud, the number of nodes required to support a given workload is reduced by 3-5X, resulting in significant savings. Predictable Low Latencies: Scylla performs predictably, with consistent single-digit millisecond response times in the 99th-percentile of latencies, resulting in dependable service levels even as you scale up your application traffic. In fact, tests show Scylla delivers 1/3rd the p99 latencies of Amazon DynamoDB. When dealing with the non-predictive nature of the Internet, we also perform far better than other database alternatives under “hot partition” conditions. No Vendor Lock-In: You can easily move your data between Scylla Cloud and Scylla running on your on-premises datacenter, or on other public and private cloud providers. Cassandra Compatibility: Scylla Cloud is compatible with the entire Cassandra ecosystem of drivers. That means you can get applications to market faster by using Scylla Cloud. In addition, moving data from an existing Cassandra cluster is straightforward and quick. Flexible Pricing and Sizing Options: Scylla Cloud allows you to choose what fits your organization’s workload and purchasing preferences. You can select from a range of servers as well as monthly or annual pricing options. You can start small with a cluster for development and then increase the size of the cluster for full-scale testing and QA, and then even further as you scale to meet your production deployment requirements. Scaling Up and Out: Scylla’s performance grows linearly with larger systems that have additional cores, greater amounts of memory and storage capacity. This translates into lower costs compared to other DBaaS offerings. Security: Scylla Cloud implements single-tenant occupancy along with encrypted backups and key management, so you can be assured your data is safe and only you have access to it. You can also use VPC peering to connect your application with your Scylla Cloud database. Expert Operational Support: Scylla Cloud is managed and monitored by ScyllaDB engineers who are experts in keeping your service up and efficiently performant. By monitoring your cluster 24*7, they respond quickly to any issues. Automatic backups and repairs are scheduled without needing to dedicate your personnel to these tasks. Hot Fixes: Updates and security fixes are applied to your running Scylla cluster automatically and transparently in a way that will not interfere with your database performance. Highly Available: Scylla Cloud replicates your data across the availability zones within a region, so there is no single point of failure. Choose additional replicas if you require even more redundancy of your data. Soon, we will support replicating your data in different regions. You also have the ability to use Scylla Cloud in a Multi-Region configuration. Easy to Integrate: We’ve made it quick and easy to hook Scylla Cloud in to your existing code base, with examples for cqlsh, Java, Python, Ruby and others. Define your cluster, launch it and connect. That’s all that you have to do. The process is simple and fast. The first step after creating a Scylla Cloud account (cloud.scylladb.com) is to create your cluster by selecting your instance type and quantity as shown in Figure 1. You will also see a section for how to configure VPC peering. Use this to securely connect your application to Scylla Cloud. After creating your cluster, which takes only a few minutes to provision, you will get the confirmation and the IP addresses of the servers to connect to. Figure 2 shows what this screen will look like. You can easily get a view of any of your provisioned clusters by selecting My Clusters from the left side menu, and then “View.” An example of the output is in Figure 4. After you have connected your application to Scylla Cloud, and your application is running, you can observe some basic performance metrics. Figure 5 shows the performance of your write rate, average latency and 95th percentile latency. Figure 5: Sample output showing various write parameters of your Scylla Cloud instances. Scylla Cloud is ideal for teams that need maximum performance in a completely managed NoSQL database. It provides enterprise-grade features and support, allowing you to linearly scale your apps without requiring you to scale your staff. Scylla Cloud delivers consistent low latencies and high throughput with less use of hardware resources than other DBaaS solutions. The price-performance of Scylla Cloud leads the industry, meeting your most-demanding production requirements at a fraction of the cost. Want to try it out? You can spin up t2.micro instances in minutes. Then deploy a cluster of i3’s when you’re ready for production loads. We’d love to hear about your experience and get your feedback. Have more questions? Join our community on Slack, or contact us privately. 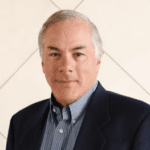 Michael has worked his entire career in Silicon Valley, working at companies such as Silicon Graphics, Sun Microsystems and most recently Oracle. He has specialized in the marketing of highly technical products to a wide range of users. For much of his career, he was involved with products for High-Performance Computing. In his free time he plays ice hockey and referees youth soccer.